On March 5, 2019, FDA Commissioner Scott Gottlieb announced his resignation. The physician and venture capitalist, ​for whom this was ​a second stint at the FDA, intends to leave the agency in about a month to spend more time with his family. Cliche as that line is in Washington, my former colleagues at the FDA tell me there is nothing to read into the announcement or its timing. Dr. Gottlieb has been commuting between the FDA’s main offices ​in the Maryland suburbs just outside Washington, D.C., and his home in Connecticut, where his wife and daughters live. However, considering the changing political winds, I would not be surprised if Dr. Gottlieb's decision to leave now is, at least in part, to avoid being part of what may be the final politically tumultuous months of the Trump administration. The FDA is like other federal agencies and departments in that the leadership sets the tone and the agenda and the day-to-day work is performed by career employees. With one possible exception, I do not expect the tone and agenda to change with whomever is named acting Commissioner or is ultimately confirmed to replace Dr. Gottlieb. During my time at the FDA, I worked with the team of staff who helped ​Dr. Robert Califf transition into his role as Commissioner. Similarly, I was on the team of staff who aided the Trump administration's early FDA appointees (before Dr. Gottlieb was confirmed) in understanding the agency and prepared Dr. Gottlieb for his return to the agency. During both transition periods, the agency's core business--reviewing applications for new medical products and protecting marketed medical products and food--continued without issue thanks to the efforts of the FDA's talented career staff and the statutory mandates FDA is required to satisfy. Congress has done a lot of heavy lifting in the past few years to set the FDA’s agenda by passing the 21st Century Cures Act and other laws that include programmatic and policy directives relating to human drugs, biologics, medical devices, tobacco, food, and veterinary medicine. Those directives include expanding use of real world evidence, streamlining FDA review practices to minimize the time to receive authorization to market a medical product, and upgrading the nation's food safety infrastructure. FDA’s career staff are implementing those laws and other initiatives that will continue after Dr. Gottlieb leaves. FDA is often criticized for being slow to respond to public health challenges, but the agency takes pride in its deliberate, scientific approach to public health. (In some cases, the agency is handicapped by lack of legal authority to address some challenges, the blame for which belongs with Congress.) Dr. Gottlieb was regularly commended for his transparency and willingness to tackle our country’s modern public health challenges—opioids, e-cigarettes, device safety, drug pricing and competition, and dietary supplements, among others. He deserves credit for elevating those issues, particularly as the head of an agency that often claimed not to have jurisdiction over some matters (FDA has only a nominal role in the drug pricing, for example, but Dr. Gottlieb was very vocal about that issue). As Commissioner, Dr. Gottlieb oversaw the development of several “action plans”, notably the Medical Device Safety Action Plan, the Biosimilars Action Plan, the Drug Competition Action Plan, and most recently a plan related to dietary supplements. These plans did not change regulatory requirements​ but discussed various options the FDA is exploring or encouraging others (like industry or Congress) to explore. 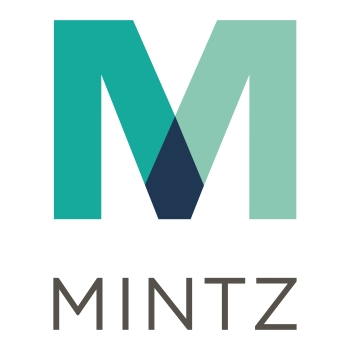 ML Strategies and the Mintz FDA Practice have been following these action plans (in addition to other FDA activities) and we will continue to do so to see what the impacts may be on patients, businesses, and other healthcare ecosystem stakeholders should the plans yield any legislative or regulatory changes. We'll also be on the lookout for shifts in policy related to other FDA-regulated commodities. Unknown at the moment is who will serve as acting FDA Commissioner. During previous recent transitions, that job fell to Dr. Stephen Ostroff, who before his recent retirement served as both the FDA’s Chief Scientist and Deputy Commissioner for Food and Veterinary Medicine. A best guess based on the current lineup of FDA leadership is that Dr. Amy Abernathy, a hematologist/oncologist and palliative medicine physician whom Dr. Gottlieb recently hired as Principal Deputy Commissioner, will be asked to step in until the White House identifies and the Senate confirms a replacement. Dr. Abernathy had been the chief medical officer and chief scientific officer at Flatiron Health, a subsidiary of Roche focused on using real world data to improve cancer treatment. Patients, businesses, and other interested stakeholders can be assured that we expect ​the FDA's core business to continue without interruption during the transition period. Stay tuned for our analysis of upcoming policy announcements and any further personnel changes.